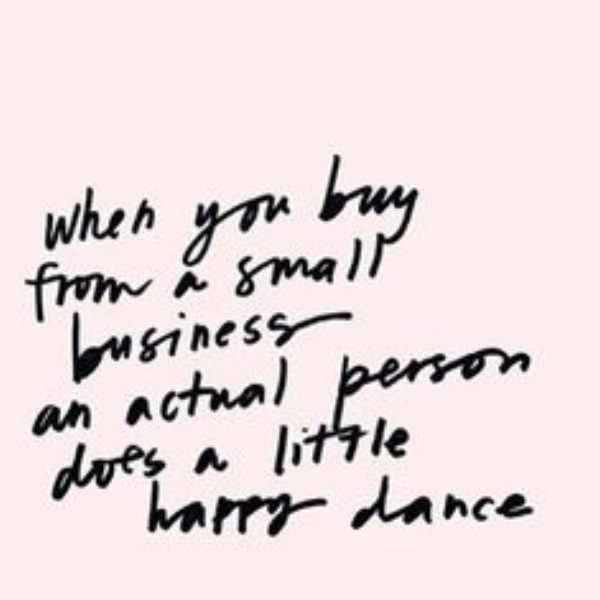 I'm sure you've all heard the line "When you buy from a small business, an actual person does a little happy dance." I'll tell you the truth - it's much bigger than that. When you buy from a small business, it's validating another person's dream, it's joining them on the journey of the path less traveled. When you buy from Workspace Collective, that warm, fuzzy and rewarding feeling that I get to experience is passed along to our designers. I can recall of a handful of times after a beautifully knit wool hat, a uniquely designed coat or a freshly made ceramic bowl sold at the shop, and I had to keep calm during those moments of check-out with the customer because I was so eager to pick up my phone to text the designer the great news that one of their pieces had sold! Moments like these make my job incredibly fulfilling. I love sharing bespoke, handmade items with our customers, and I love sharing the news of sales with our designers. Will you share with me in all of these feelings on Small Business Saturday? 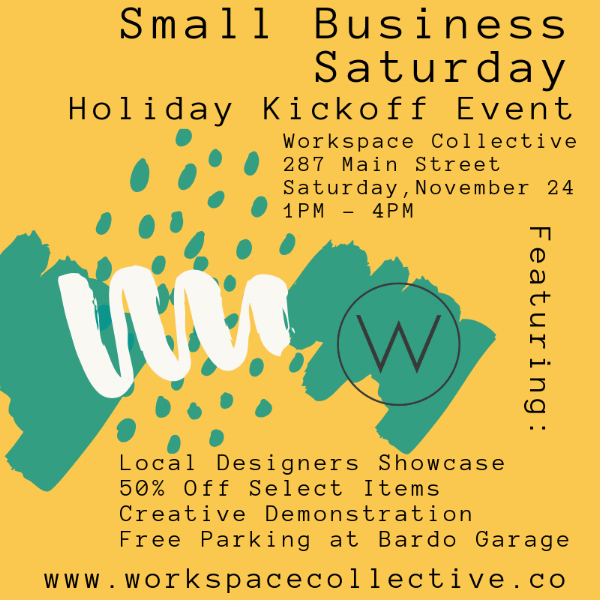 The designers at Workspace Collective have it a bit harder than other brands you will find anywhere else. Each maker has to meet two or more elements of our Sustainability Standards, making each sale an even more fruitful experience. We do this to align with the vision of making and creating for a better future. Our goal is to provide a positive impact, and to reverse the damaging effects of the production and manufacturing industries, but to also ensure that those making our products are receiving fair wages and are working in safe conditions. 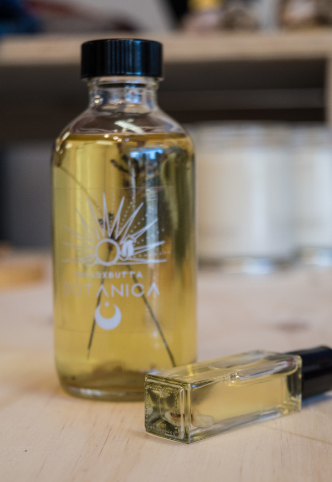 We also want to make sure that you, our customer, are buying high-quality, non-toxic and one-of-a-kind products, because you deserve the best. Check out what our standards are, so you know what our makers and designers are consciously working towards in order to provide handmade items that are better for you, the people making them, and the planet that we share. Now I think it's time to catch everyone up with all of the new goodies we have coming into the shop for the holiday. Unique home goods, cozy winter clothing, and stunning handmade jewelry keep coming our way, and in order to share with everyone, we will be planning our HOLIDAY KICKOFF EVENT this Saturday, November 24th from 1PM - 4PM! Keep scrolling down to get a sneak peek of some of the newest items we have in-store at 287 Main Street in Downtown Danbury!